Real Estate Road Trip: Manchester, Vt.
A few weeks ago I visited quaint Manchester, Vt., to write a travel piece for the Boston Globe Magazine. It’s the prototypical cute Vermont town, with a white church steeple, mountains in the background, and charming old New England architecture. There are outlet shops and two ski areas nearby (Bromley and Stratton), plus all the hiking you can handle. 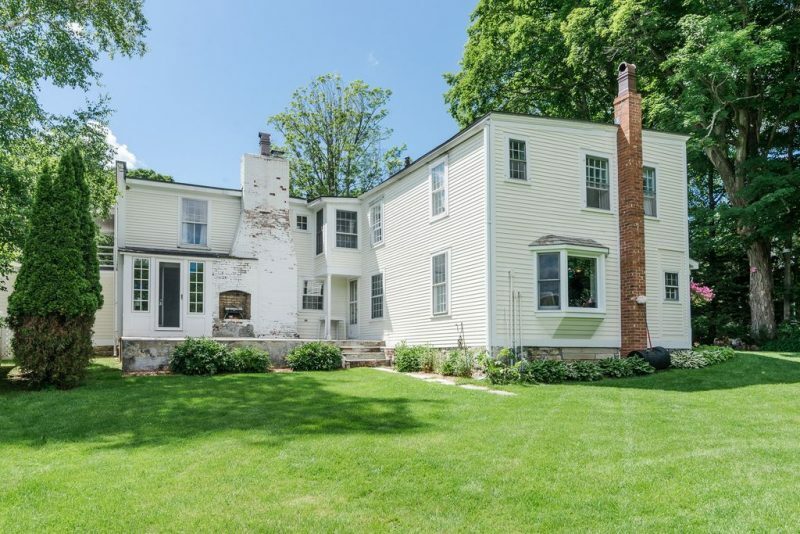 And, thanks to Old House Dreams, I just discovered there’s a lovely home for sale there right now at 3372 Main Street. 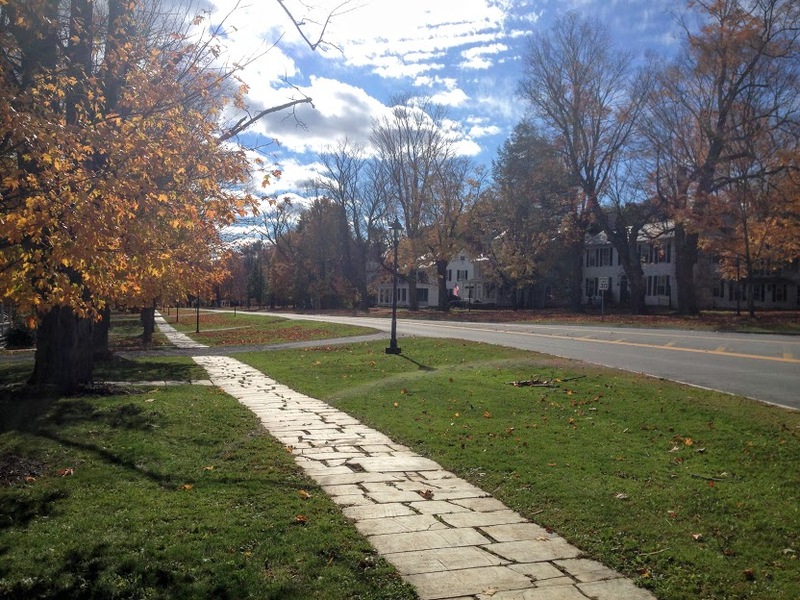 Main Street in Manchester Village – about a mile from Manchester Center, where you’ll find a ton of stores and restaurants – is a wide, luxurious affair with stately old homes dotting either side and Mount Equinox in the backdrop. To give you some idea, Abraham Lincoln’s son built his family estate a couple miles down the road, and the sidewalks here are made of Vermont-mined marble — seriously, marble sidewalks! The town is also home to the Equinox Resort, a luxury hotel that put Manchester on the vacation map after hosting a handful of presidents back in the 1800s. (Speaking of presidents, if you’re seeking refuge from one, Vermont is a deep-blue state like Massachusetts.) Just down the marble sidewalk from the esteemed Equinox is where we find today’s Real Estate Road Trip Wish Listing. Hope you’re wearing your fancy pants. That’s a pretty regal living room right there – you might even have to call it a sitting room or something. But I love the wood stove – at some point, I need to write an entire post extolling the virtue of a wood stove over a fireplace. They’re so much more heat efficient and cozy, and in the mountains of Vermont, you’re going to need that. 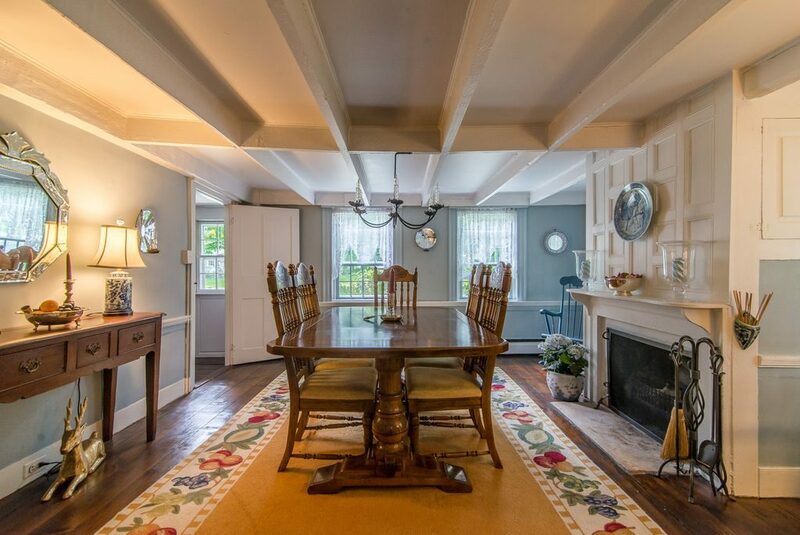 The dining room has beamed ceilings and its own fireplace, not to mention the same earthy, wide, wood floors. And take a gander at the paneling above the fireplace. 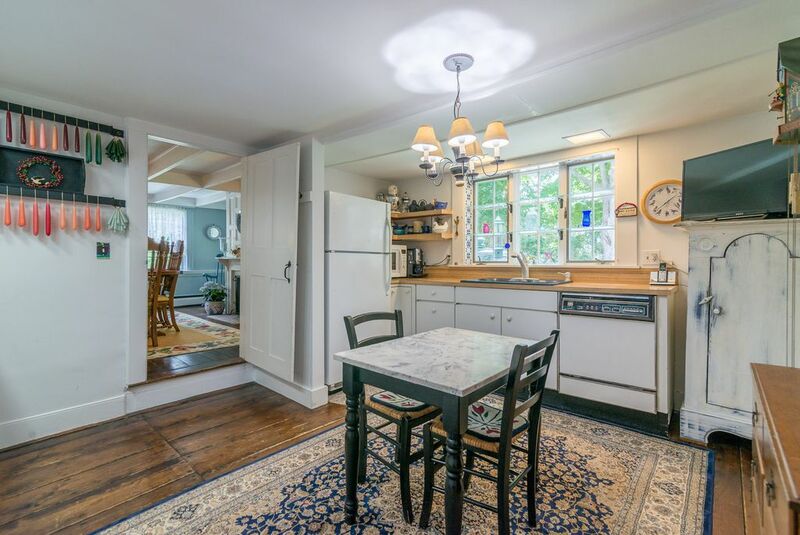 The kitchen isn’t exactly spacious — but those floors! 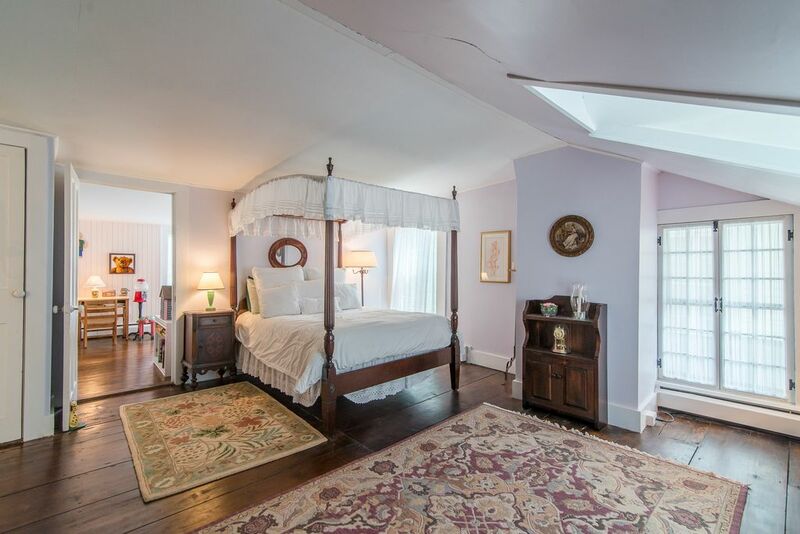 Upstairs is more of the same – bright, antique elegance. 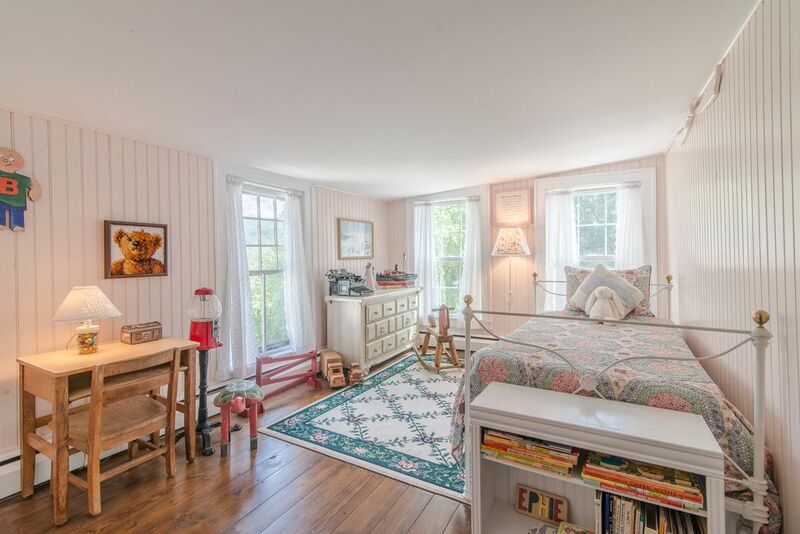 Even the kid’s room has a certain refined charm, like it could have been Kathrine Hepburn’s childhood bedroom. It looks quite nice in the apartment — there’s a bright, summery cottage feel – but who knows when (or how well) that portion of the house was built. Still, how about those views? And doesn’t this room look cozy? 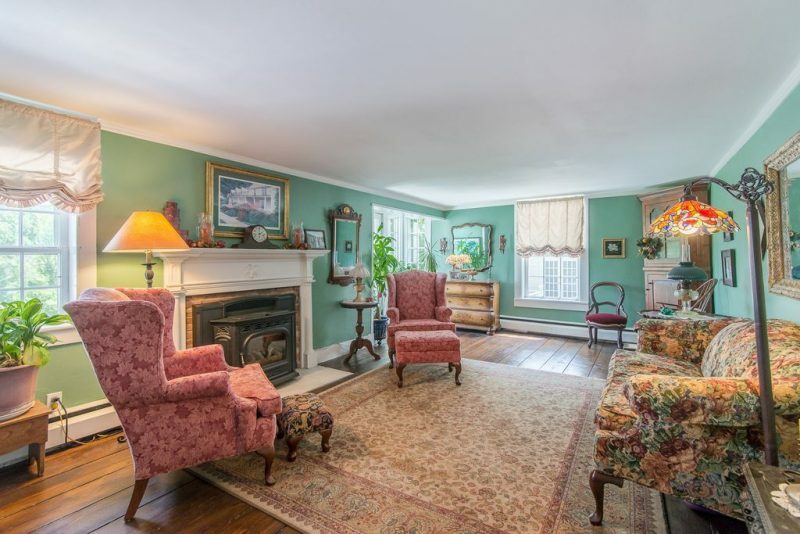 The listing also says it’s considered a condo — perhaps part of a once-larger estate? – but gives no indication of the monthly HOA fee or what that might include. A steep monthly fee or onerous rules could be a potential deal breaker. Oh and did I mention the patio is made of marble, too? 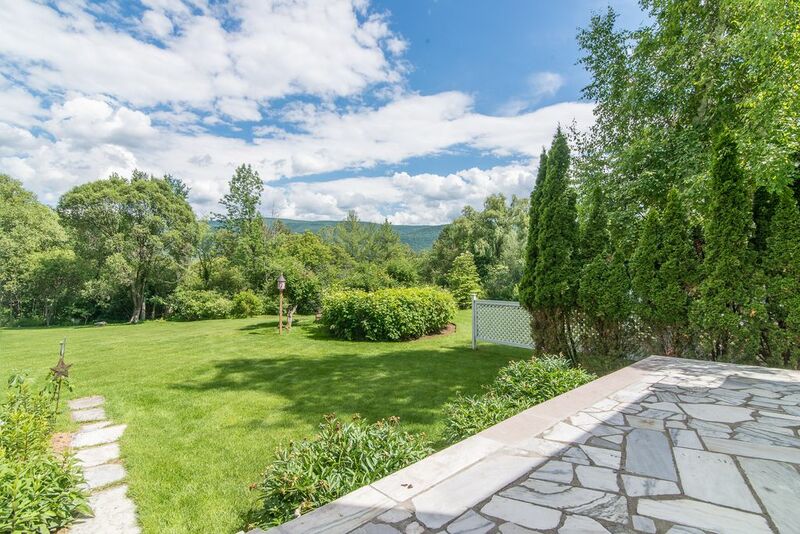 In walking distance to downtown, with a sprawling country backyard and the summit of Mount Equinox within hiking distance, this is a pretty gorgeous getaway house for the price. 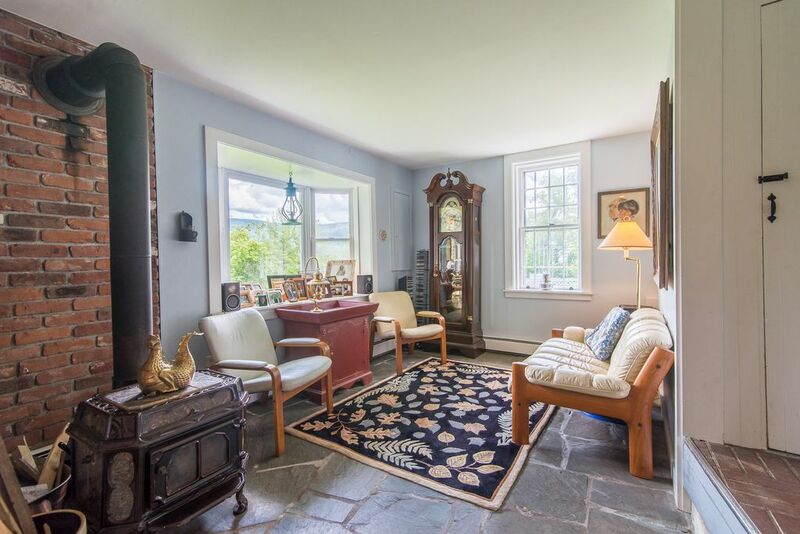 Plus: Most antique homes in the $300K’s, even in Vermont, aren’t going to have such a charming combination of tasteful updates and architectural features… this house is downright winsome. And Main Street Manchester is a gem of small-town New England, and the city has a decent four-season tourist draw (mostly from New York) for its fall foliage, summer mountain activities, year-round shopping, and winter skiing at nearby slopes. Minus: The condo situation. It could be nothing — an old estate now split into lots too small to be considered their own single family plots or something based on town zoning – or it could be a real pain in the neck. 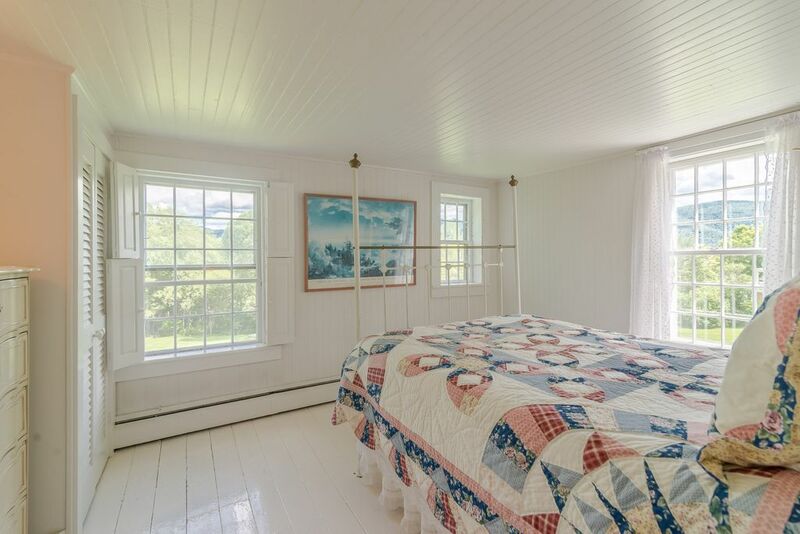 The ceilings are also quite low, as is often the case in 1700s homes. Address: 3372 Main Street, Manchester, Vt. 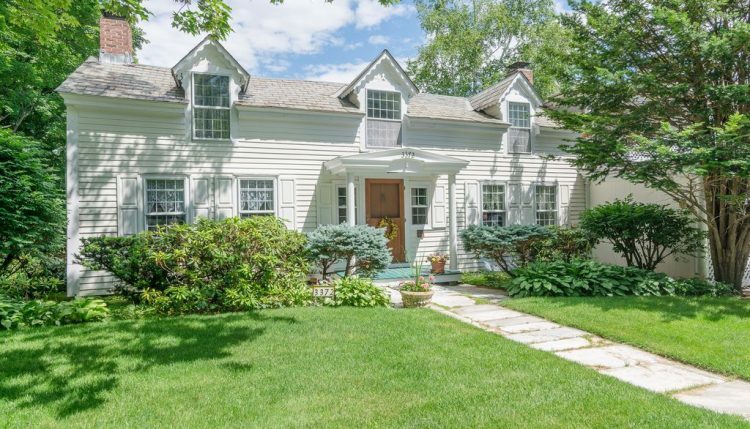 Verdict: This appears to be a real stunner of an antique home, set in a lovely mountain town where you can either hike up a mountain for solitude or into town for a fancy dinner. I like it.